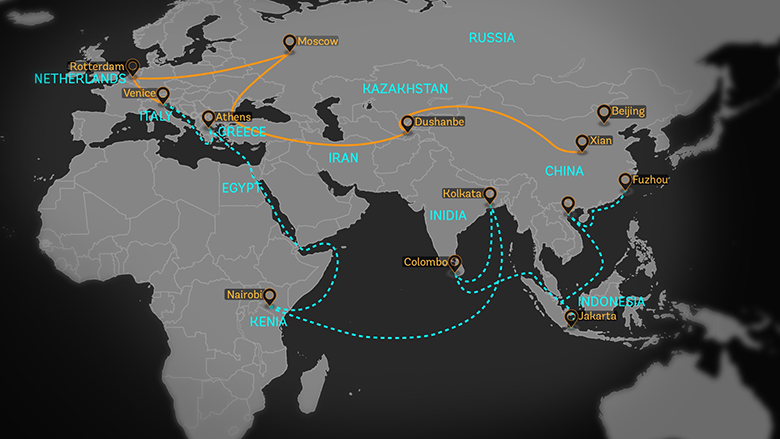 The Belt and Road Initiative (BRI) is an ambitious effort to improve the connectivity and the regional cooperation on a trans-continental scale. The proposal to make the BRI is to strengthen trade, infrastructure and investment links between China and roughly 65 other countries. The project is set to affect 62 percent of world’s population, 30 percent of global GDP and 75 percent of energy reserves that are known. The Belt and Road Initiative consists of the Silk Road Economic Belt that links China with South and Central Asia and further to Europe. The New Maritime Silk Road will link the nations of South East Asia, North Africa, the Gulf countries and those of Europe with China.